Blog Post List | Karl Flammer Ford Inc. The Ford Expedition is the vehicle of choice among families and organizations for the abundance of interior space. However, the models introduced for 2019 boast a variety of technological features that enhance the entertainment value while making the drive easier for the driver. Explore all of the features on the latest Expedition models by visiting your Tarpon Springs, FL Karl Flammer Ford Inc. The Ford Fusion is an attractive choice for anyone in Tarpon Springs, FL looking for a reliable and stylish midsize sedan. There are several different models, so you can look for which one matches your preferences. Many of the Fusions that we carry at Karl Flammer Ford Inc. are hybrids. The Ford Escape remains a popular choice with individuals who want a compact vehicle that is also a spacious and capable SUV. The 2019 Escapes offer a wide selection of amenities. See the possibilities by visiting our Tarpon Springs, FL inventory. The steering wheel is now ergonomically designed to provide more comfortable gripping. Is The 2019 Ford Ranger Adventure Ready? Yes! Are you a truck lover, and an adventure kind of person? The 2019 Ford Ranger may be the perfect vehicle for you. This new midsized pickup truck can take you anywhere and everywhere that you want to go. And we're here to tell Tarpon Springs, FL drivers all about the adventure-ready features of the Ranger. The Ford C-Max is a compact hybrid vehicle that can easily fit into tight spaces. However, for a small car, this vehicle can still fit several people within it, and the truck is quite big, too. One of the best smart features of the Ford C-Max is the rearview camera. Safety technology is a must-have in any modern vehicle. Ford is offering a number of great high-tech safety features in the new Edge. The Ford Edge is a popular mid-sized SUV that's available at Karl Flammer Ford Inc. Drivers in Tarpon Springs can get the SUV with an innovative cruise control system. What Are the Performance Features of the Ford Focus? The Ford Focus is a popular compact car that we find fun to drive. There are several models of the Ford Focus, including the ST, electric and limited-edition RS. To know the difference between the models, our professionals at Karl Flammer Ford Inc. in Tarpon Springs, FL can help. Two of the top performance features of the Ford Focus are AdvanceTrac Electronic Stability Control with Anti-Lock Brake System and electric power-assisted steering. The Ford EcoSport is among the most popular SUVs on the market today, and it may be available at Karl Flammer Ford Inc. This vehicle comes with an automatic stop-start feature, which means that the vehicle will not idle when you are stuck in traffic. This can save gas and help the environment at the same time. 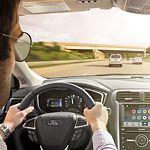 Ford has engineered a suite of standard driver-assist technologies known as the Ford Co-Pilot. This package will launch with Ford's 2019 SUVs, trucks, and cars. Here at Karl Flammer Ford Inc. serving Tarpon Springs consumers, we try to keep you informed about the new technologies that come with our models. You can read more about the Ford Co-Pilot360 below. The Ford Flex is one of the more highly regarded vehicles on the road today. One of the key reasons why Ford Flex is popular stems from its various technological features. 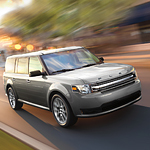 For example, the adaptive cruise control system on the Ford Flex represents one such technological feature. Another example is the Ford Flex collision warning system.